Earn $0.35 in Rewards credit (35 points) What's This? Save up to 12% more. 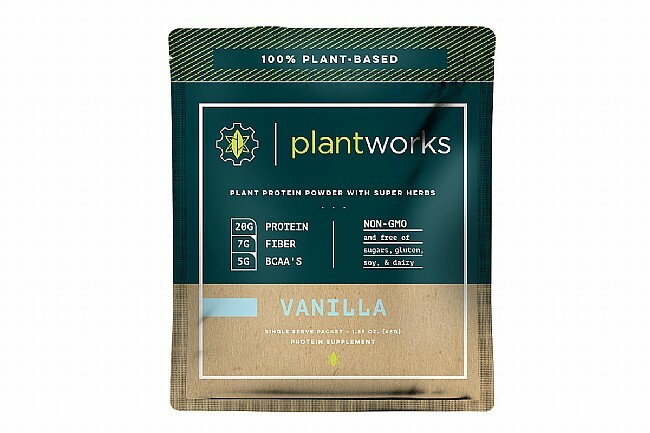 The Plant Protein Powder (Single) from Plant Works Nutrition is a great tasting 100% plant-based performance protein powder that helps you recover, rebuild, and repeat. It's formulated to optimize recovery, with a blend of 4 vegan proteins, 9 essential amino acids, and BCAA’s, which are known to help reduce post-workout fatigue, accelerate recovery, and reduce muscle soreness. This formula contains adaptogens, too, which help the body adapt to stress by exerting a normalizing effect upon bodily processes. 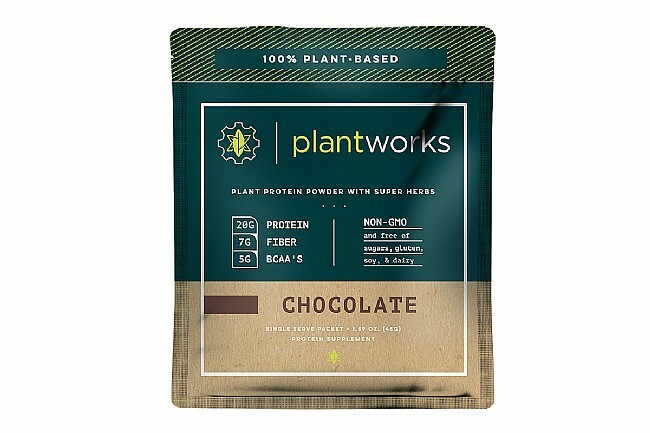 Plant Works' Nutrition Performance Protein Powder does not contain any artificial or animal-based ingredients; it is vegan, non-GMO, and non-allergenic, free of soy and gluten. Enjoy it as a post-recovery drink, meal replacement, or as a protein supplement. 5g of BCAA’s - Leucine, Isoleucine, and Valine. All 9 Essential Amino Acids. Easy to Mix – Stir, Shake, or Blend. Vegan, non-GMO, gluten- and soy-free, non-allergenc.